Up to 30% of adult cats and dogs are affected by arthritis. Because it is often overlooked, arthritis has been called a silent epidemic. Since our furry friends cannot communicate with us, It may be difficult to tell if your pet is suffering from arthritis. Signs of arthritis in pets include reluctance to walk or jump (e.g. onto a favorite couch, into the car or on your kitchen counter), difficulty doing stairs or playing a favorite game, or trouble getting up. Limping is very common. Crying out in pain may be noticed. Some vague signs can also be noticed, such as a lack of appetite and restlessness. In cats, a classic but often ignored sign is a decrease in grooming. The diagnosis of arthritis starts with a thorough physical exam by your family vet. Founded by Dr. Farid Saleh and Dr. Langbenh, for over 20 years Ehrlich Animal Hospital & Arthritis Therapy Center has been the place for pet owners to find answers. Open seven days per week, with early morning and after work hours, the practice provides compassionate care to dogs, cats, and exotic pets like rabbits, guinea pigs, birds, and reptiles. 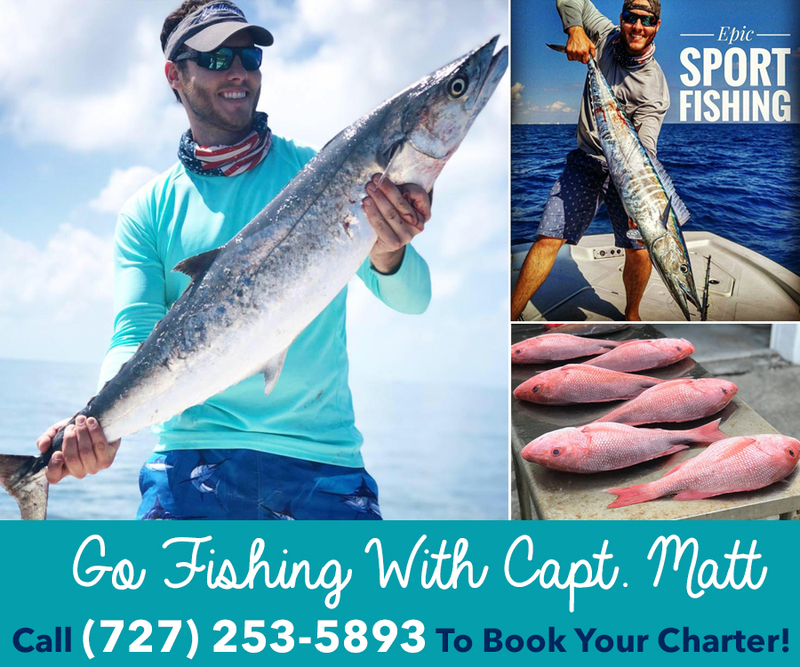 Services include examinations, hospitalization of sick pets, medical evaluations and workups, boarding, grooming, dentistry, surgery, and arthritis treatment including underwater treadmill therapy, stem cell therapy, laser therapy, medications, and platelet-rich plasma therapy. Dr. Saleh recommends a physical exam twice a year for senior pets to rule out and diagnose any conditions through a full exam, and senior blood work. If arthritis is detected, the center offers many different proven therapies for pets with the disease. Therapies include the expected diet and nutritional supplements but in combination with several different modalities. 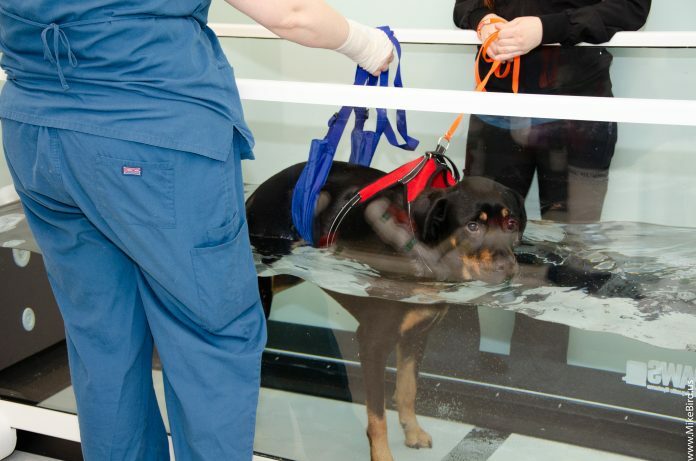 A recent expansion of the facility now allows them to offer four-legged patients physical therapy in an underwater treadmill. The unit is surrounded by glass to make a tank. Water is added to support the body and create a low impact exercise environment by reducing the effect of gravity on decreasing weight bearing up to 50%. This decreases pressure on the dog’s joints and muscle structure. It is extremely safe for unstable animals. It is an ideal therapy for dogs that are suffering from joint disease, recovering from an injury, experiencing a neurologic issue, suffering from arthritis or healing from surgery. Overweight pets or dogs that are in training for sporting events will find the water treadmill is good for their muscles and ligaments. Hydrotherapy is very good to improve muscular function. In younger dogs, the treadmill is used to get them back to being strong after an injury. In older pets, its more for chronic long-term problems to make their quality of life better, added Dr. Saleh. Cats can even be taught to be on a treadmill. It’s not common, but other animals have been trained to walk on a water treadmill. Nurse Shelise explained that the buoyancy of the water allows dogs to have the weight lifted off their painful joints. Drop off sessions start in short spurts of time, as the pet is exerting more energy than he has in the past. Over time, sessions build up to 30-minute increments. For animals using the underwater treadmill for agility, sessions are 45 minutes. Oftentimes it’s a struggle for a pet to lift its own body weight. If the pet is overweight, which 50% of all pets are, that adds to his struggle, Shelise explained. The water is also at a warmer temperature which is soothing to sore joints. The water is constantly sanitized so each pet patient enters clean water with no contamination from the previous patient. Later in the pet’s therapy, the water can be used for resistance similar to weight-training for people to help work on a particular set of muscle groups. Dr. Saleh said that a combination of modalities works best with the water treadmill. He has seen the firsthand positive response to platelet-rich plasma (PRP) and stem cell therapies. These therapies offer a safe and natural cell alternative to relieve the pain of joint disease or injury, promote healing and reduce recovery time using your dog’s own blood and tissue. Results may be seen as soon as one week. In addition to PRP and stem cell therapies, Ehrlich Animal Hospital also offers noninvasive K-laser treatment to target affected areas that improves blood flow, decreases pain and reduces inflammation. All procedures can be done in house on the same day. Whereas a pet parent may realize and react when their dog or cat is suffering from arthritis and bring to Dr. Saleh, dental issues may go undetected until the annual exam and vaccinations. Studies show that 85% of canines over age 4 have some form of gum disease. Other frequent problems include crooked, cracked or loose teeth, an infection or an abscess. Some pet owners are completely surprised when a dental exam reveals extractions are needed. When dealing with pain, a dog may whimper, whereas a cat will simply not move. Your pet’s teeth and gums should be checked at least once a year by your veterinarian to check for early signs of a problem and to keep your pet’s mouth healthy. During the next two months, if you schedule a Core (Comprehensive Oral Assessment and Radiographic Evaluation) dentistry procedure, pet parents can receive a bag of complimentary prescription pet treats. No matter what the issue, Dr. Saleh and his staff at Ehrlich Animal Hospital & Arthritis Therapy Center are there to help you decide the proper treatment to reduce or eliminate your pet’s pain. Dr. Saleh said, there are so many options for your pet, but we have to know what we are treating. You have to x-ray the pet, do the proper diagnostics to determine what we are dealing with. Ehrlich Animal Hospital and Arthritis Therapy Center is located at 8009 Gunn Highway Tampa, FL 33626. Hours are 6:30 a.m. to 8 p.m. Monday through Friday; 8 a.m. to 6 p.m. on Saturday and 10:00 a.m. to 5 p.m. on Sunday. For more information or to schedule an appointment, call 813-920-0566 or email ehvet@ehrlichanimalhospital.com. You also can get more information from their webpage www.ehrlichanimalhospital.com or on Facebook at https://www.facebook.com/EhrlichAnimalHospital.